This is possibly the coolest place I've been to, in recent memory. I'm posting these in reverse, so while technically this is the last post, the first photos are posted here. 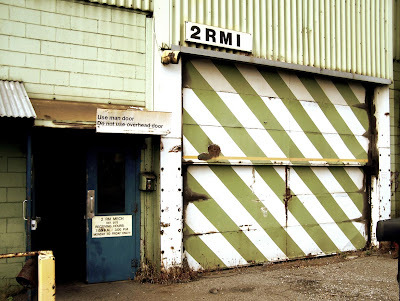 As you can see, this is the entrace that leads to the factory floor. 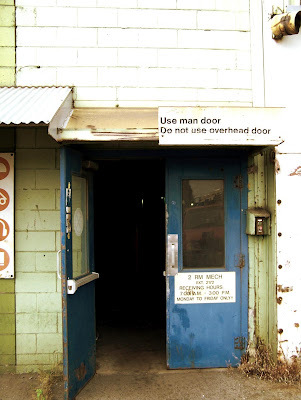 It's kind of scummy, and there is a large garage door which leads to a repair shop right there. 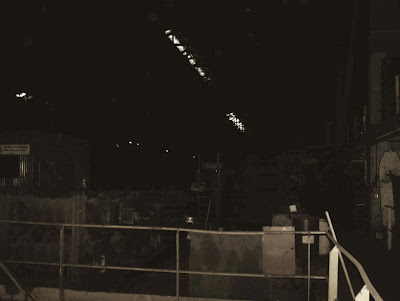 The next photo is of the first veiw of the factory floor you see upon ascending the stairs. 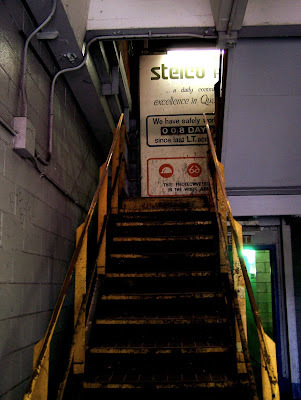 There were numerous trip hazards, and holes in the floor, and we had to walk halfway across the floor with flashlights, in order to reach where the light switches were. 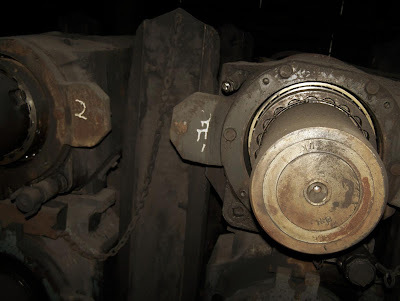 The last photo is a shot of one of the bits of machinery that sat on the floor of the factory.